In this cool space wallpaper, NASA's Kepler mission has discovered the first Earth-size planets orbiting a sun-like star outside our solar system. The planets, called Kepler-20e and Kepler-20f, are too close to their star to be in the so-called habitable zone where liquid water could exist on a planet's surface, but they are the smallest exoplanets ever confirmed around a star like our sun. 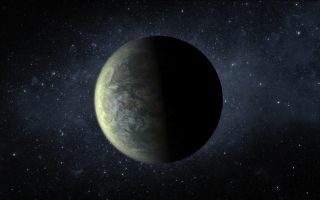 Kepler-20f is the closest object to the Earth in terms of size ever discovered. With an orbital period of 20 days and a surface temperature of 800 degrees Fahrenheit, it is too hot to host life, as we know it.